New products from BinaryBots, Robotical and Wonder Workshop offer accessible, tactile learning platforms for children and teachers. 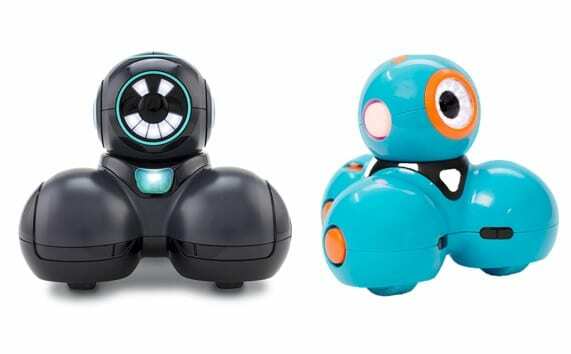 Premier Farnell, the Development Distributor, has added a full collection of educational robotics kits to their product range, offering an engaging and accessible platform for teachers to incorporate physical computing into the classroom. A variety of kits are available from innovative suppliers including BinaryBots™, Robotical, and Wonder Workshop, suitable for children at primary and secondary education level. Whether it’s physically constructing and customising the robots or using them straight out of the box, these kits teach children the fundamentals of coding by exposing them to sensor technology, motor control and wireless communication, as well as working with microcomputer platforms such as micro:bit, in fun and engaging ways. The BinaryBots™ starter range, designed for ages 8+, includes easy-to-assemble ‘Cardboard2Code’ beginner products designed to introduce robotics using the micro:bit. Their next level line of ‘Planet Totem’ mechanical animals, for ages 11+, can be programmed to respond to a variety of real-world actions using a specially customised sensor board. These robots are designed to be built by students and teachers to enhance engagement and imaginations. BinaryBots’ full range also has comprehensive lesson plans mapped to the National Curriculum for computing and STEM (KS2 & KS3) available for schools. Robotical’s flagship product MARTY, is a fully programmable, wi-fi enabled walking robot compatible with a wide range of microcomputers including micro:bit, Arduino and Raspberry Pi. Designed for children 8 years and older, MARTY can be used as a standalone educational tool or, as recommended, used in groups to help children develop essential team working skills alongside coding experience. Robotical also provide supporting materials that fit a broad curriculum of Computer Science, Design & Technology, IT and Engineering education for teaching beginners through to advanced university level. Wonder Workshop’s Dash and Cue are robust, responsive robots that are ready to go, straight out of the box. With numerous capabilities made available using multiple built-in motors, sensors, LEDs and audio features, Dash and Cue interact with students, their environment, and each other to provide an encouraging and collaborative learning experience. Wonder Workshop have designed Dash (age 6+) and Cue (age 11+) to grow with their students. Meaningful curricular and educational programs are available to support students with the development of critical and creative thinking, collaboration and communication skills.